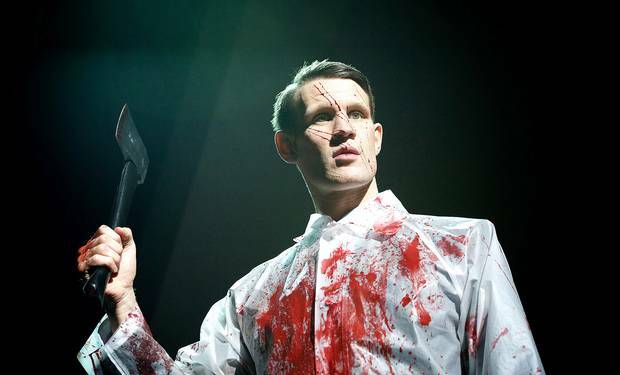 Matt Smith IS an American Psycho | Warped Factor - Words in the Key of Geek. 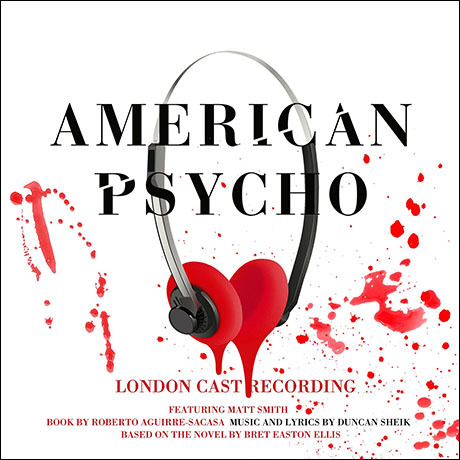 Stacy Embry checks out the recently released cast recording of the American Psycho musical. The premiere British cast album of American Psycho was released recently and I could not wait to buy and listen to it. I went in preparing myself that Matt Smith was going to be bad, after all, he isn't transferring to the Broadway show already in pre-production. But weirdly enough - he wasn't. He was good. Very good. Set in the excess of 1980s Manhattan, American Psycho is based on the novel by Bret Easton Ellis and tells the story of Patrick Bateman, a young and handsome Wall Street banker who pursues his darkest American dreams. 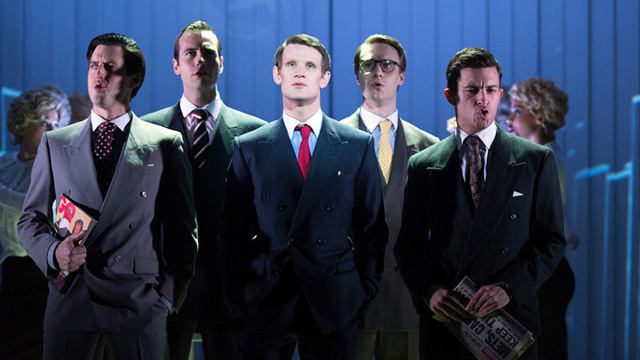 As well as Matt Smith as Patrick Bateman, the London cast recording also includes Gillian Kirkpatrick as Patrick's Mother/Mrs. Wolfe, Cassandra Compton as Patrick's secretary Jean and Susannah Fielding as Patrick's girlfriend, Evelyn Williams. The London stage show sold out, mostly due to Matt's fans, but it got mixed reviews. The critics were kind, but underwhelmed with the show. Knowing that Duncan Sheik, pop artist and creator of Spring Awakening, was at the musical helm, and that the story was lifted from the Ellis' novel which became the cult Christian Bale film, I figured that the underwhelmed reaction had to be for Matt. Right? I mean, it's such a diverse project for him. One which I doubt any fan could've predicted him signing on for. "As I worked on the show over the course of the past five years I started getting deeper and deeper into software as a way of making cool electronic music. That became the platform on which I was creating the score … early house music and early techno and a lot of electronic pop music from the UK and Europe…those became the touchstones for the sound and the score." And here's where the problem lies as most of the techno-pop is repetitive, like a endless 80s loop that only works if you're up for it. The lyrics cloyingly rhyme and the tone is just flat. There is no depth to the score, and it makes me think that Spring Awakening was just a lucky first shot. Sure, some songs jump out, but gosh, the show hangs flat. Sheik was lucky to have Matt Smith on board. From the first word, through to his prophetic "I'm not a common man" his American accent and vocal placement are stunning. I had to keep relooking to be sure it was Matt I was hearing. I can quote almost every line of his from Doctor Who, but this wasn't him. Was it? Yes, it really was. If you like the story of Patrick Bateman or just want to admire Matt Smith in another genre, download at least a few songs. I read that Duncan Sheik has rewritten some pieces so it will hopefully be be better on Broadway, but, still, I'm not going. If they brought Matt, sure, but without him the show is just a weird bloody fantasy. There's enough of that on television!